I meant to blog about TV in 2017 for the last month or so. There were two shows in 2017 that stuck with me more than anything, and trying to get my thoughts on the challenging weirdness of Twin Peaks: The Return into shape proved to be a tricky task. There was also Legion, which I adored, but blogging about it didn’t happen for various reasons, and seemed destined to be one of those ‘blog posts I never get around to’. This boggled the heck out of me – getting cover quotes is always great, getting a cover quote on something I loved as much as Legion is a rare treat – so I had to write something. But the thing I love most about Legion is what it reminds me of. We have a lot of superhero shows right now, and some of them are definitely ‘for adults’ – but up until now, that’s principally meant the Marvel Netflix shows, which are a very particular (and uneven) kind of mature that’s worn out its sense of novelty and welcome surprisingly quickly. None of them have really managed to capture what grabbed me about American comics when I first started reading them – they’re all going for relatively formulaic structures but with more monologues, more intensity and more ultraviolence. There’s no sense of them trying to do anything different, except in how adult they can be – a habit that, outside of S1 of Jessica Jones, hasn’t come across very well. 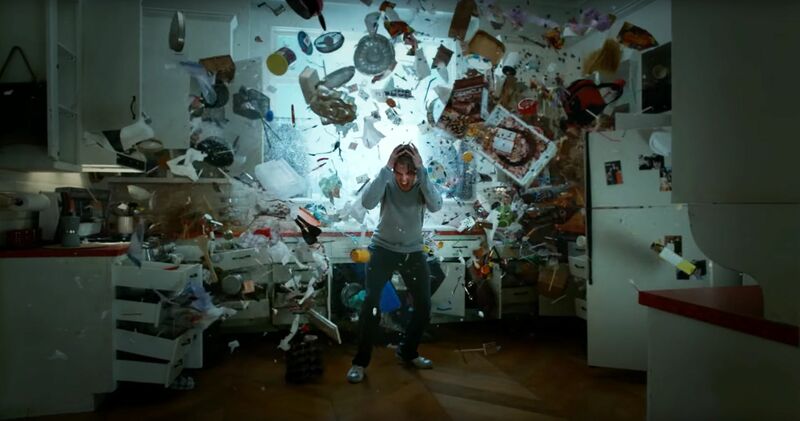 Legion, however, feels different in almost every conceivable way. There’s an infectious sense of invention and creativity to the show, an adventurous desire to push the envelope – and what it reminds me of are the truly weird, artistic and adventurous comics that came along in the wake of graphic novel landmarks like Watchmen and The Dark Knight Returns. Yes, you had lots of dark and gritty tales of vigilante justice, superhero stories but with added intensity and violence and upset – but you also had genuinely weird and adventurous stories that you simply couldn’t find anywhere else. Comics like Doom Patrol, Animal Man, The Sandman, Enigma, Hellblazer – boundary-pushing, unpredictable comics that were giving a sandbox to interesting writers who really wanted to see what comics could do, and wanted to do expand the limits of the everyday mainstream comic.